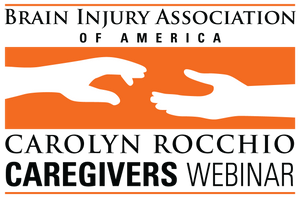 A Carolyn Rocchio Caregivers recorded webinar featuring Dr. Kyle Haggerty and Dr. Sheryl Berardinelli, Bancroft NeuroRehab. Aired December 12, 2017. This webinar offers information to help families and professionals understand behavioral issues after brain injury and discuss practical strategies that can be used in the community to minimize the impact of behaviors on community inclusion. To receive 1 ACBIS CEU, please select "CD/Handout Package, CBIS/T Rate (Includes 1 CEU)" or "Recorded Webinar - Download Now! (Includes 1 CEU)" from the drop-down menu.